While there are times that you might miss your pup’s intimate pooping moment, it is best to watch where they decide to go. Not only are you doing your part to keep our parks and sidewalks clean, but you are also helping the environment. Pet waste is NOT a fertilizer. It can even contain diseases like E.coli or roundworms that can be spread to both pets and humans. So what happens to pet poop that is left on the ground? First of all, it doesn’t stay there. When it rains in the cities, the waste gets transported to the nearest storm drain and then out into our waterways. The water quality in our local streams and lakes can be contaminated by the organisms living in pet waste. This is especially true for urban areas. Kirkland, WA has provided some tips to help keep the city clean since over 20,000 dogs are living in the city limits. Imagine how much poop the dog population of Seattle could make - that would be a lot of waste in the water if we don’t band together to keep our neighborhoods clean. Dog poop is also a concern in our wild areas. Kora and I love to go hiking and explore the wild side of Washington state. We follow the Leave No Trace policy to ensure that her waste does not negatively affect the natural ecosystem. While wild animals eat the local vegetation and then add value to the area by leaving their waste, pet waste does not have the same benefits. According to the Leave No Trace article, “Across the US, 83 million pet dogs produce 10.6 million tons (that's 21,200,000,000 pounds) of poop every year, each pound adding excess nutrients to the ecosystem if the waste isn't disposed of properly.” That’s a lot of outside influence on the environment. We encourage you to be environmentally conscious when you pick up the poop! Wow - what a year of growth for Puddles Barkery! We owe it all to you, our community, and to all the retailers we partnered with this past year. A special thank you for all your support! 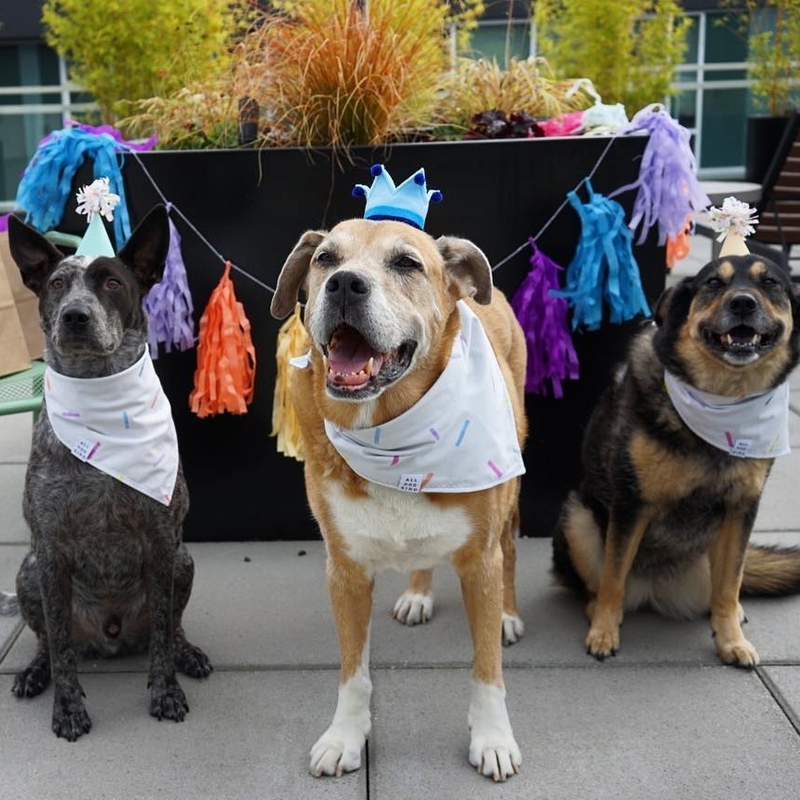 Gigglechops Dog Wash in Magnolia, Seattle has been partnering with us to sell small packs of treats and be a pick up location since they opened in December of 2017. They have an amazing community mission "Dogs Helping People Help Dogs." They provide a career opportunity for those in our community with special needs through a structured work environment at this self-service dog wash. We hope you will support them in the coming year as well. 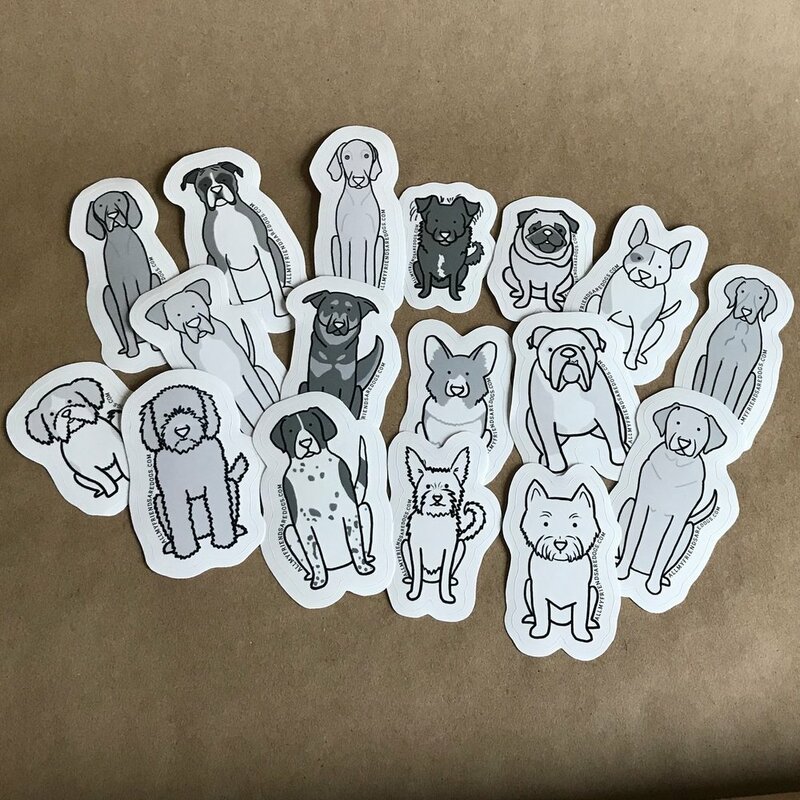 Great Dog in Northgate, Seattle joined our community in May 2018 as a retailer and pick up location. They have seen a lot of birthday cake picks this year. 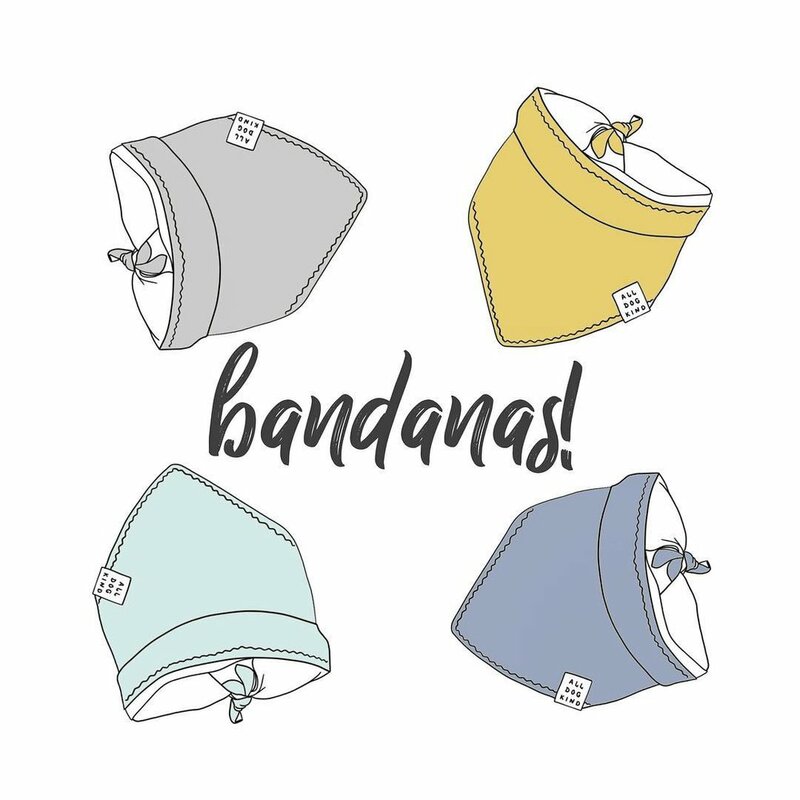 Pickles Playland in Kirkland, WA became our first retailer on the east side of Lake Washington in July 2018. We will continue participating in their member events through 2019. We met Traci’s Organic Paws Shoppe in Redmond, WA at the Wag Love Live event this summer where we supported canine cancer research. They started carrying our treats and became a pick up location in October 2018. This December we also partnered up with our first coffee shop, Down Pour Coffee Bar in Capital Hill, Seattle and Redmond, WA. They are so excited to offer delicious treats to their customer's dogs. 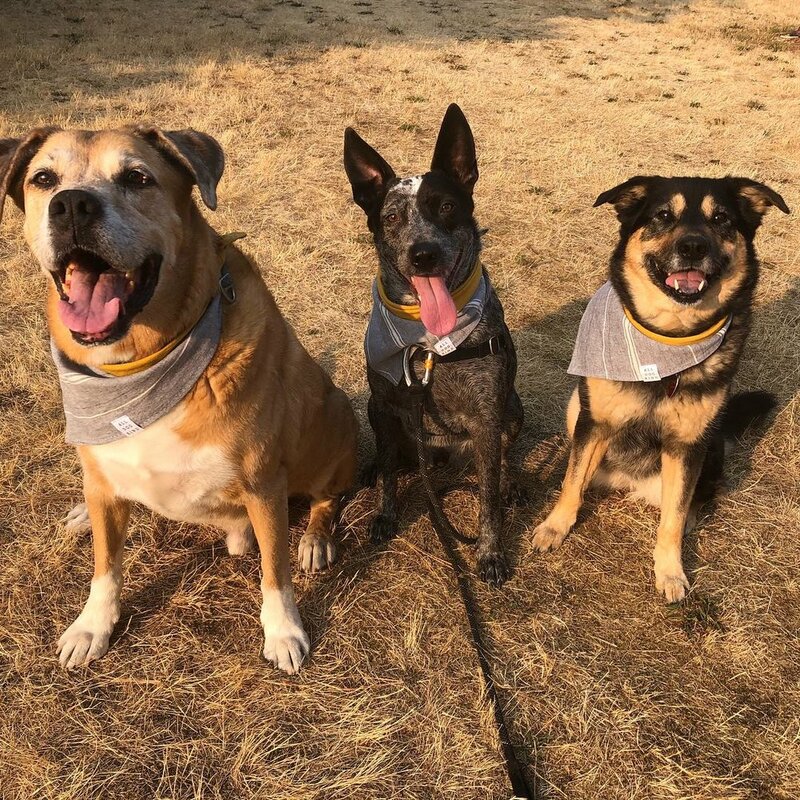 Our newest partner in paws is Camp Bow Wow in Monroe, WA. 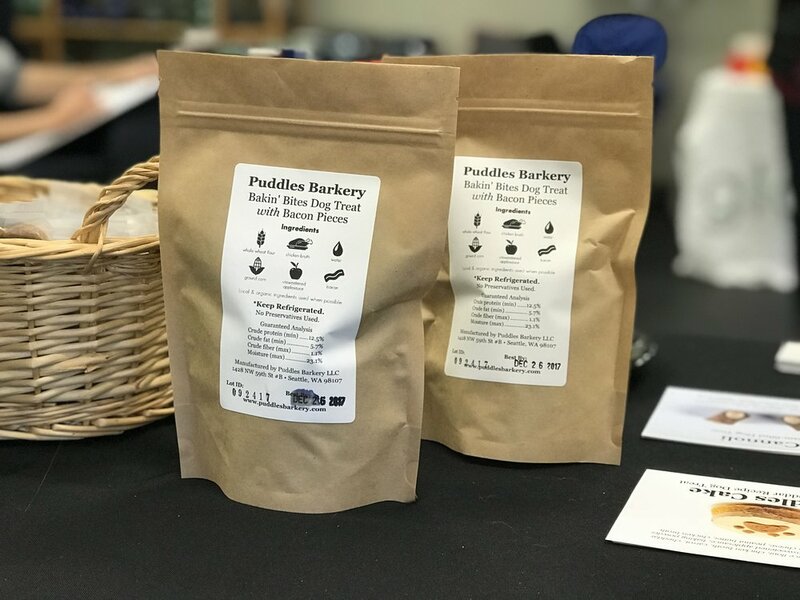 They are excited to be carrying our Puddles Cakes and many of our single-serving treats. We can't wait to see everyone at all the Seattle-area events next year (listed on our calendar and Facebook page). We would love to hear from you if you have any questions or would like us to attend one of your own events. Thank you for sharing your positive #PuddlesPup stories with your friends (reviews can be given on Facebook or Yelp). 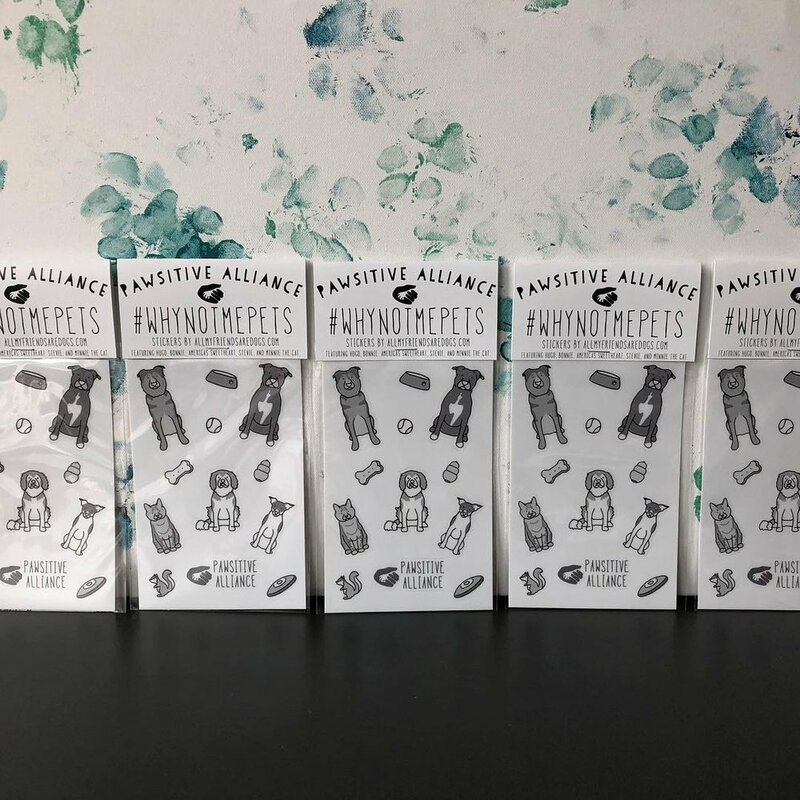 We are ready to continue growing in 2019 to make sure every dog can have delicious treats that make them happy! Have you heard that Pickles Playland is our newest partner and retailer? 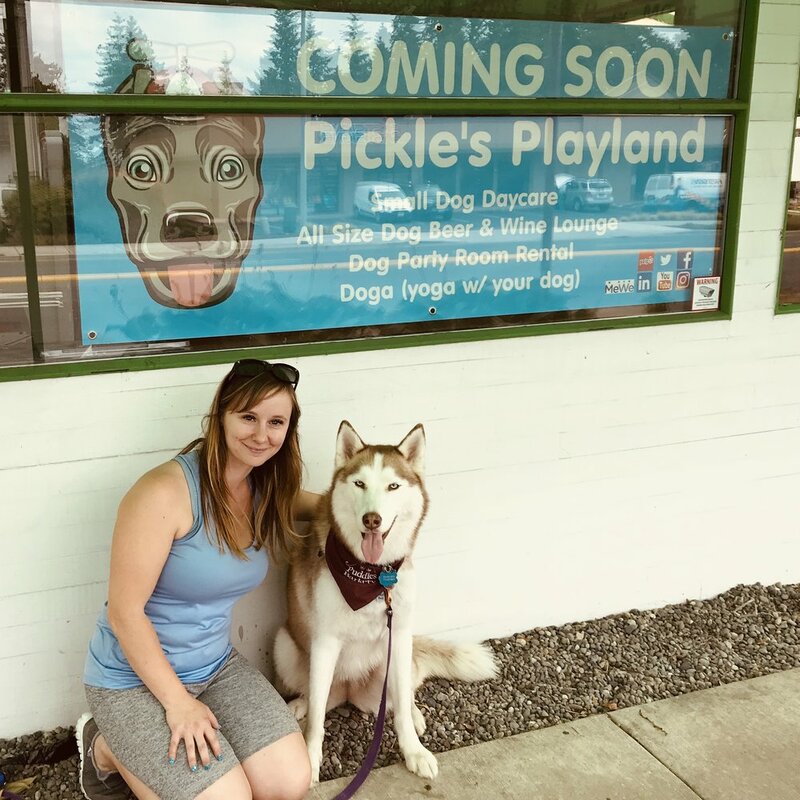 It all started with an email: Nikki (pictured in bottom right photo), the owner of Pickles Playland, had reached out to a few local dog vendors, including us, to see who might be interested in partnering with a membership lounge and small dog daycare in Kirkland. We chatted with her about our products and each company’s vision and found that we are a good fit for their customers. Then we met at a Kirkland dog event one hot, summer’s day in July to get the partnership started! 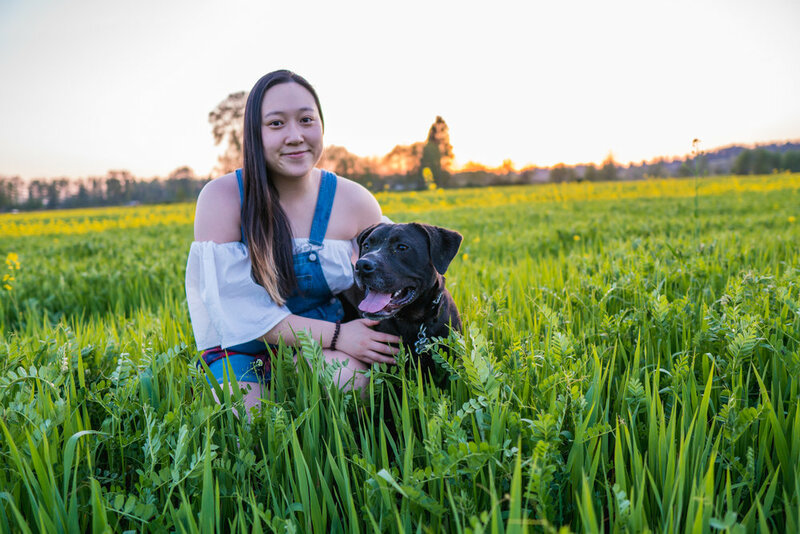 Nikki has a great love for dogs, especially her precious pit bull, Pickles (pictured above with Kora), who was not supposed to make it through his first year of life. Now, at three years-old, Pickles is the face of the business just to show that with love, all dogs have the chance to be successful and live happy puppy lives. Pickles Playland has small-dog daycare during the week and they open their lounge space to all dog sizes on the weekends. They pride themselves on teaching healthy group-interaction behaviors your pup will take with them to other group situations. Each staff member has dog First Aid and CPR training as well as continuous dog behavioral training. With your membership to Pickles Playland, you can also look forward to fun hosted-events from Doga Yoga to Beer/Wine events to holiday-themed events. These special events you can enjoy with your pup may be free or have a discount to attend with your membership. 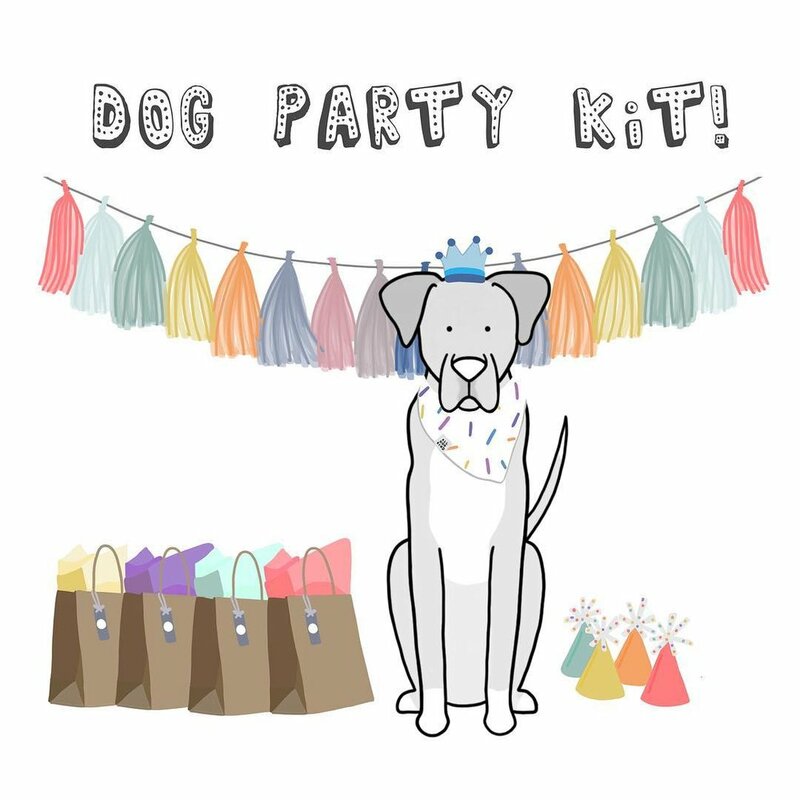 Looking to host your own dog event? Their lounge area can be reserved for events and check out our Cakes, Mini Pupcakes, Cannolis and other treats by the dozen to cater for you. Feel free to drop in for a single Puddles Barker treat, or you can place your order online and pick it up from Pickles Playland for a small delivery fee, $4.49. Please place your order to allow 72 hours before your expected delivery. We look forward to serving all the Kirkland pups and our continued partnership with this quality company. Celebrate with us; we are growing! Where can I find Puddles Barkery treats? First, a HUGE thank you to all our supporters and loyal customers. 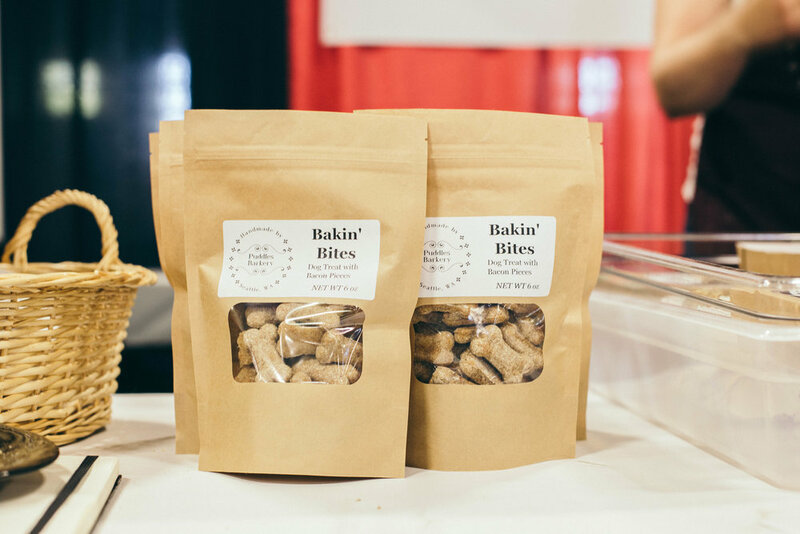 It makes us so happy to bring delicious and nutritious treats to your pups (and kitties too). I can't describe the joy experienced when our local community supports small businesses, like us, in following their dreams and creating something special for the world. 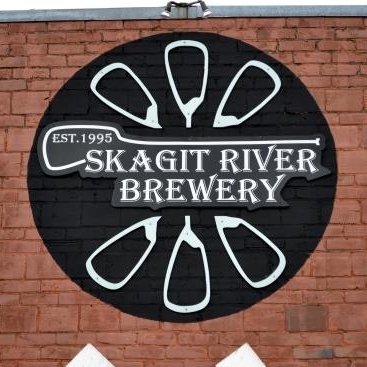 We are excited to announce that Skagit River Brewery in Mount Vernon is now carrying our Bakin' Bites Duos. Stop by their patio to chill with your pup, your friends, a beer and some Puddles Barkery treats too. We are continuing our collaboration with Skagit River Brewery by updating some of our recipes to include their spent grain. Mike and his staff is very supportive and excited to bring handmade treats to their customers. If you're looking for some goodies in Northgate (Seattle), look no further than Great Dog. They provide doggie daycare and boarding, quality training for you and your pup, a pet supply store and a coffee shop right next door! 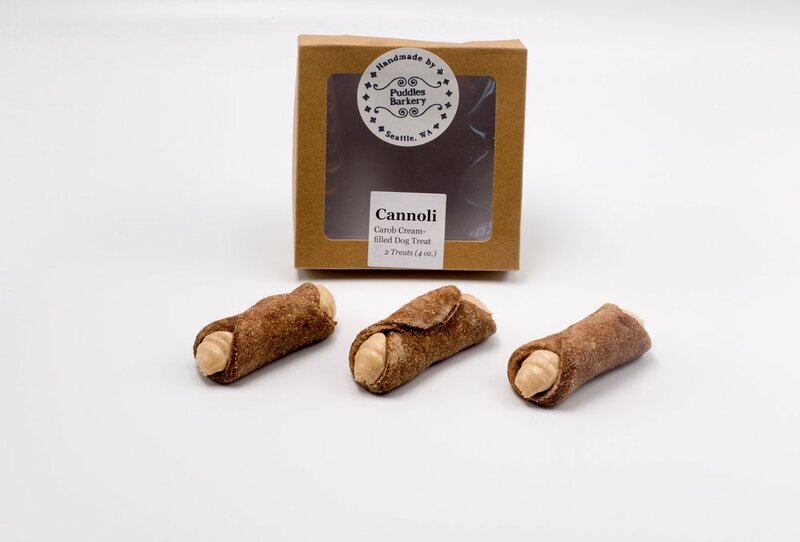 They currently carry Bakin' Bites, Milo & Oats, Mini Pupcakes and Cannoli. They are also a pick up location for your online orders (generally ready within 48 hours). Next stop, Magnolia (Seattle)! After a fun day exploring Discovery Park, take your pup to Gigglechops Dog Wash to get cleaned up and find a little treat to top off the day. They carry single Mini Pupcakes and Cannoli as well as small packs of Bakin' Bites and Milo & Oats. You can also pick up your online orders here. In South Lake Union, you can pick up your online orders at The Barking Lounge (generally ready within 48 hours). 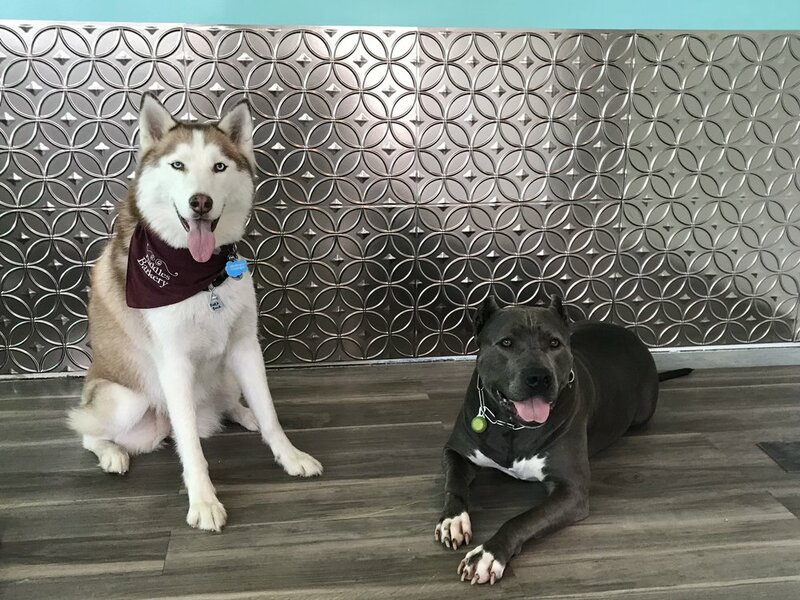 Not only does The Barking Lounge provide exceptional doggie daycare and boarding, but they also partner with Tragic to Magic to help get dogs adopted into the right home. Each adopter is gifted with a Puddles Cake to celebrate! We will also be traveling around the Seattle area all summer long to all the fabulous dog events. We hope you can stop by and say hi when we are in your neck of the woods. See you soon! Whole wheat flour: This is the base of our biscuit recipe. It doesn’t start out as a solid component, but it transforms into the base because of the other ingredients that change the flour's physical properties. Chicken broth and water: These wet ingredients are the moisture agent. They make the flour’s composition change so that the ingredients, with the additional of the fat-agent (applesauce), will bind together. The chicken broth also provides protein, collagen (for joint health) and many vitamins and minerals as well as well as a delicious flavor. Pumpkin seeds: When we first created the Bakin’ Bites recipe, we used cornmeal to add a course texture to the treats. We wanted to find an ingredient that would help create the proper texture for the treats and provide more health benefits. Since our Milo & Oats was already using oatmeal for texture, we tried chai seed and pumpkin seeds. 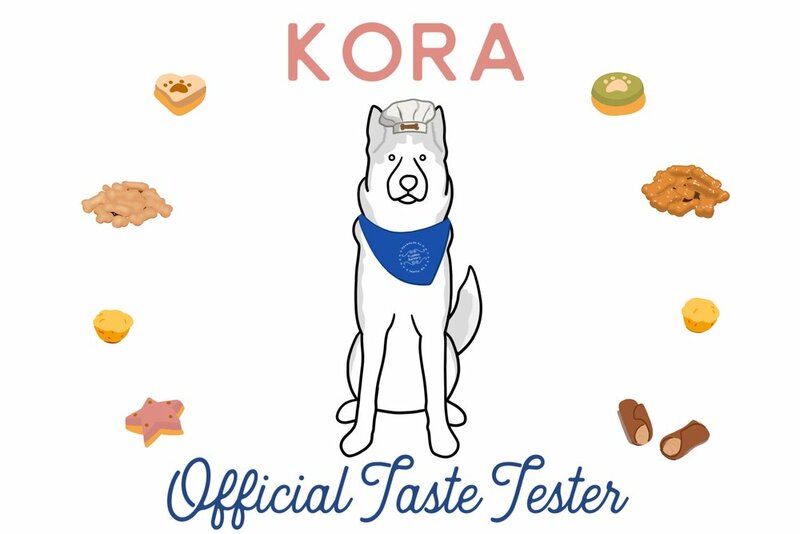 Ground pumpkin seeds were the preferred choice for Kora as well as our other dog taste testers. This protein-rich ingredient may also help reduce joint inflammation caused by arthritis. Unsweetened applesauce: Since applesauce is high in fiber and low in sugar, it makes a healthy substitute for melted butter or vegetable oil in baked goods. The purpose of the fat-agent is to form a rubbery texture by preventing the flour protein from completely mixing with the wet ingredients. Bacon: While it is a high-fat protein, it is also very flavorful. We use a small amount (the last ingredient on the list) to create the flavor dogs love without sacrificing the healthy qualities of the treat. We are excited to announce that we are partnering with Dirtie Dog Photography to provide a one Mini Story Session with your pet ($675 retail value) to one lucky drawing winner who attends our June events. Dirtie Dog Photography specializes in capturing the story of animals for the people who love them. and sign up for our email lists (Puddles Barkery and Dirtie Dog Photography). We are attending four doggie events in June which means you have four opportunities to gain entries for the drawing. Thank you for welcoming us into your location! 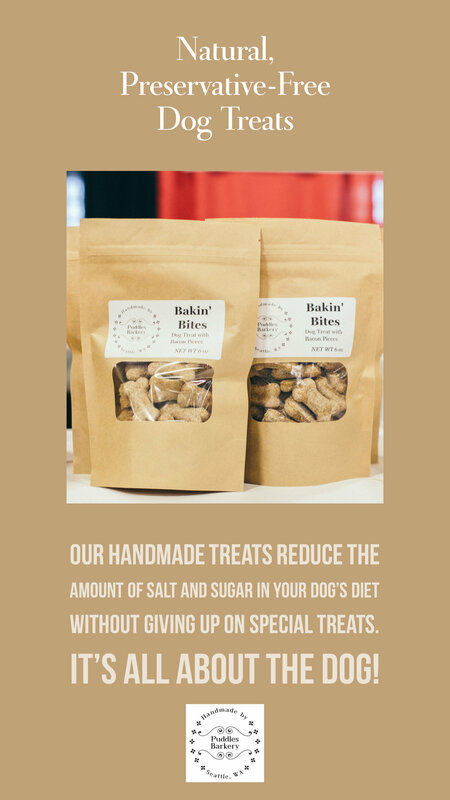 On Monday this week, we brought Great Dog's first order of Puddles Barkery treats to their store in Northgate (11333 Roosevelt Way NE, Seattle, 98125). Kora and I introduced ourselves to Leslie and the amazing staff. We also met a few pups who were headed home after a fun day of daycare. Great Dog carries Bakin' Bites and Milo & Oats as well as single-serving sized Mini Pupcakes and Cannoli. 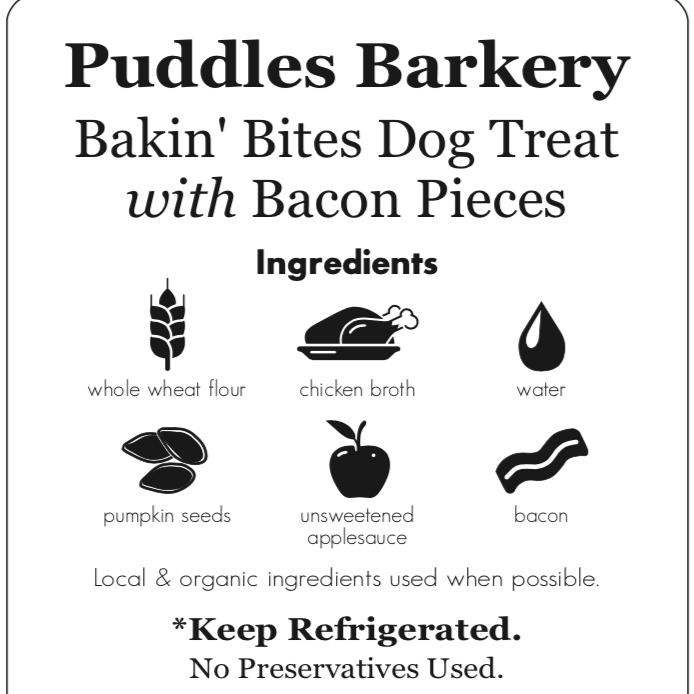 You can also order treats online, like our custom Puddles Cakes, and pick them up from Great Dog within 48 hours. Since 2001, Great Dog's mission has been to enrich the lives of dogs and the people who love them. 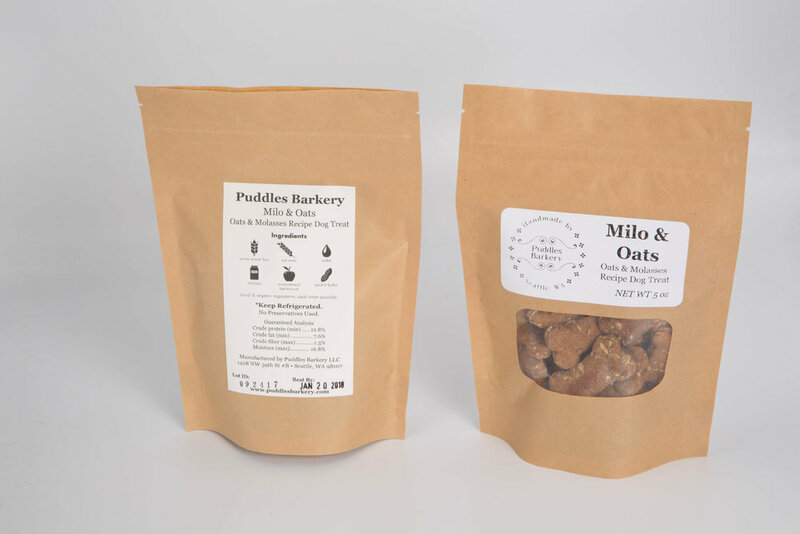 We are excited to bring tasty, healthy dog treats to Great Dog and the Northgate community. We hope you will check them out - tell them that Kora sent you! We would like to introduce you to Alice and her dog, Bear. Alice is in the process of writing a children’s book about dog adoption. Her book will feature many adoption stories from around the world, including some Washington dogs like our friend, @Dolly.the.Chi. Please enjoy reading about Alice and her book. If this endeavor speaks to you, you can donate to her GoFundMe page to help cover the publishing costs and put this book on children’s bookshelves everywhere. You can also contact her through email at bearnosebest@gmail.com, Instagram @bearnosebest, or follow her on Facebook, /bearnosebest. While Alice was healing from the heart break of losing her first dog after 14 years together, she wasn’t convinced that she wanted to go through the heart break of loving and losing another dog. But after two years it hit her, she is a dog person and she will always need that kind of love in her life. Alice started searching for her new companion online with Pet Finder and other rescue websites and by visiting shelters. Then she spotted Rex, an adorable golden retriever, on PAWS’s website. She went to go visit him, but he was already on hold for another family. That day she hung out at the shelter for another hour and went through all the dogs over and over again. She kept going back to Rex, until she saw this small, black dog sitting all by himself right next to Rex. Alice was surprised that she hadn’t noticed him until then. She offered him a treat and found that he was very gentle and cautious. He seemed like such a sweet boy and she felt the need to check him out. After she went though the application process and was approved, she met him in the back area of PAWS. He was loving and trying to snuggle, but also he wanted to play and kept bringing a ball to her. After that experience, he stole her heart. The little black dog was 6 months old and not especially cute at the time, but she couldn’t stop thinking about him while she waited a day to make the decision. Bear was the one, and he sealed it with a lick on Alice's hand the next day when she came to adopt him. What inspired her to write a children’s book? Growing up, she was most interested in sitting and writing stories, drawing or making cards and stationery. Writing came more naturally than other subjects in school so she decided to study journalism in school. Writing a book was something that she had always wanted to do but, until now, she had never thought that it was realistic to follow that passion. This process was foreign to Alice when she started. After reading a bunch of publishing books and researching the subject of publishing children’s book, she decided that self-publishing seemed to be the easiest option in this day and age because the bulk of the responsibilities lands on the author. The author fronts the publishing costs and has control over most of the decisions for the writing, editing and release process. Another benefit of the self-publishing route is that the timeline for release generally is shorter since there are less approval points. What is the current timeline for the book? April- Alice has focused on writing the story this month. 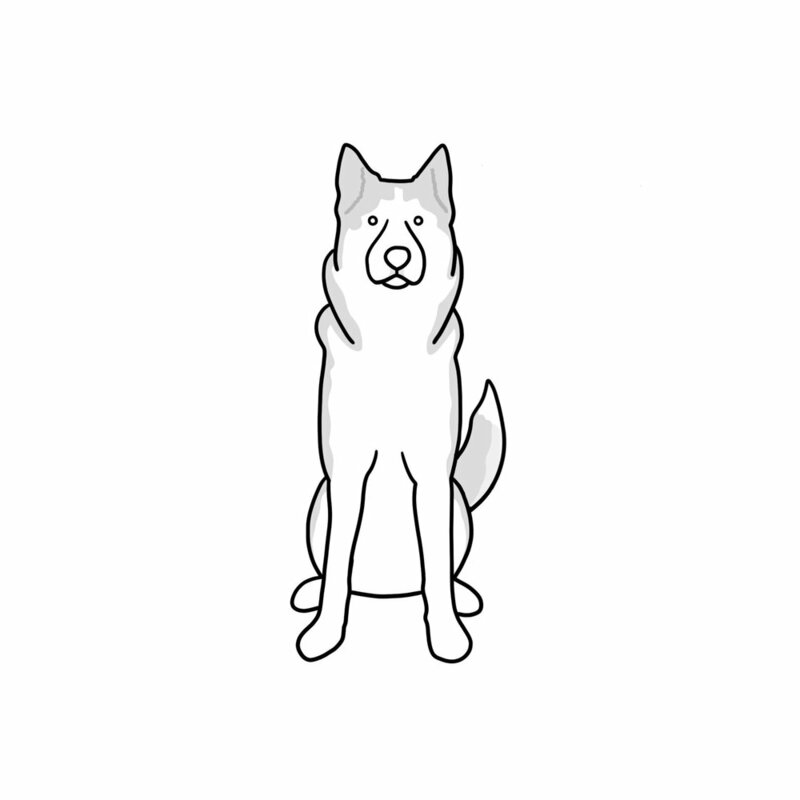 There will be two parts to the book, the main story line and the dog biographies at the end of the book. May and June- Illustrations will be created to match the pictures with the main story. June and July- She will shift her focus to editing the “true stories,” the biography stories she collected from all over the world. August and September- She will be trading drafts back and forth with her editor. October- Her goal is to have the book ready for publication. February through April 2019 - The publication process generally takes 4-6 months before the book is released. Stay tuned for more information about a launching party in early spring 2019! How many dog adoption stories will be in the book and which areas of the world are included? When Alice started on this journey of collecting adoption stories for her book, she expected that it would take one to two months to collect enough stories. Instead, she was overwhelmed by the positive response to her request for adoption stories. After only a week and a half, she had received 52 stories from dog lovers from around the world. The 22 stories included in the book come from South Korea, Bermuda, Australia, Iran, Mexico, and the USA. Ten of these stories are from our own corner of the world in Western Washington State. How did she choose the stories that will be featured in the book? It was very difficult to trim down the number of stories to include in the book. To help her make the decision, she printed all the stories and dog pictures she had received and posted them on the wall to make the Wall of 50. She read through each of the stories 2-3 times and categorized them to find the balance for the book. The comparisons were made in a few differing categories: by the dog’s breed or physical traits, where they are from, the dog’s personality change from before and after adoption, the reason they were at the shelter to begin with or if it was an educational story to help inform future adopters. Alice’s main goal was to choose outstanding stories that were relatable and most representative of adoption stories around the world. What has been her favorite experience and most challenging experience she has encountered since she started this project? The best part about committing to write a children’s book about dog adoption has been the dog community support. It took her by surprised that so many people wanted to support her goal. Meeting the people who love dogs, their community and rescues inspiring. Working with the rescue community is the most fun, because those people have a exceptional hearts. Alice is now in the most challenging part of the process; sitting down to write on her own timeline. So far is has been on other people’s timelines, collecting the stories, but now it’s up to her to sit down and use her brain to create the story. The best way to support her now is to ask her where she is on her book to help keep her motivated. When preparing for a hike, you pack food, water, extra layers, a first aid kit, and other essentials in your backpack. But what about your dog? Kora was fond of her sporty and functional blue Banzai pack from WolfPacks.com right from the start. She knows that it is time for a serious hike when her pack is on. The pack has reflectors, rub-resistant straps and they have a great repair policy. Kora decided to chew on the buckle and under-body strap, so we mailed the pack to WolfPacks.com, paid for shipping and supplies and they made the repairs before shipping it back to us. Good as new (except for the mud from our hikes). For your pup's safety, it is recommended that dogs only carry up to a quarter of their body weight. Start out small and gradually increase the load as your pup gets becomes familiar hiking with a pack. Kora progressed from carrying just her treats, to her treats and her folding water bowl, and then we added a small amount of her water. What is the best part about having a dog pack? As her two-legged hiking partners, the best part of her pack from our perspective is that she will always carry her poop bags back to the trailhead. She is also a willing helper to pack trash out, whether it’s our own or something we find along the way. Keep the trails beautiful!